When you got your first “grown-up” job, the way to career success seemed like a straight, uncomplicated path, just like a bowling lane. So long as you kept moving forward and didn’t fall into the gutters on the edges, you’d eventually knock those pins down…or at least one of them. However, Singapore employees are finding out the hard way that life isn’t that straightforward. Some PMETs, especially the middle-aged and well paid ones, have found themselves laid off this year. Some find themselves in a new and painful reality – the jobs they’ve been doing comfortably and excelling in for the last two decades now no longer exist. Folks who still see their career paths as bowling lanes might feel like they’ve fallen into the long kang at the first setback or retrenchment. They then throw in the towel, resign themselves to fate, and fall into despair. But if you understand the Business S-Curve and how it can also apply to our careers, you’ll realise it’s not the end. 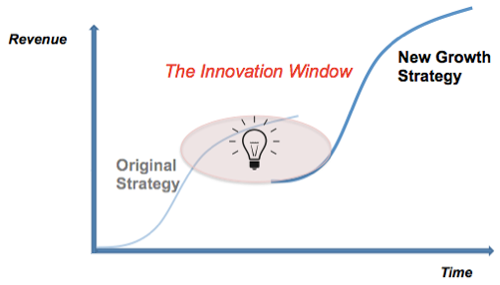 According to this theory, all businesses, no matter how invincible they might seem (and yes, that includes the Googles and Apples out there), will someday hit a point of saturation where they can no longer grow using their current winning formulae. They hit a plateau, and need to do something fast before decline sets in. To ensure their continued survival, they must reinvent themselves, explore new horizons that offer the prospect of continued growth. In a sense, many employees in Singapore are now facing the same predicament as these businesses. They made a killing when the economy was boomtown Charlie, rode off into the sunset, and now realise night follows the sunset. They can choose to camp out the night, gostan to try to relive past glories, or zhng their ride to meet a new dawn. Those who fail to adapt, or zhng their ride, could soon find themselves irrelevant in today’s economy. Most understand the importance of upgrading oneself, whether in a personal or professional capacity. However, most employees begin skills upgrading only when they get retrenched. That’s like starting to plan for retirement just before you hit retirement age, or worse still, after. It’s too little, too late. What each and every employee should be doing, and yes, that includes you young, eager-beaver 20-somethings, is to build lifelong career resilience from the first day you step into that office. It’s no longer enough to just sit in that cubicle and hope you can stay there undisturbed for the next few decades. One thing you can do is to understand how certain industries are transforming, and how to prep yourself to take advantage of these new opportunities rather than be left far, far behind. In fact, certain industries are already starting to show indications that they’ll change dramatically in the years to come. And no, we don’t necessarily mean that robots are going to take over our jobs (and our world). But what automation will do is transform the conventional roles we know now and take for granted into more sophisticated ones requiring higher skills. By way of illustration, here are five sectors that are undergoing transformation——even as we speak. So you didn’t make it into medical school. That doesn’t mean you can’t take advantage of Singapore’s burgeoning healthcare industry. There is a growing demand for technicians and specialists in areas like radiology, healthcare IT and data analytics. Healthcare professionals don’t just work in hospitals and clinics, either. There are opportunities in dental surgeries, clinics, nursing homes, research facilities and more. This is one industry that will really benefit from the impending silver tsunami. The beauty is that you don’t necessarily have to be a healthcare worker per se to benefit. For instance, a data scientist who chooses to work in the healthcare sector can also benefit from the strength of the industry, as the industry expands and further advancements are made both from a technological and service standpoint. There are a range of WSQ qualifications for healthcare support in a range of areas such as pharmacy support and nursing care. The SkillsFuture Study Award for Healthcare Sector enables workers with at least two years of experience in the healthcare sector to deepen their skills by undertaking a range of approved courses in aged care, healthcare IT and data analytics and healthcare system design, organisation and delivery. Okay, so maybe your dreams of becoming the next Nurul Aini/Christopher Lee/Gurmit Singh didn’t quite pan out (we agree, those talent scouts can’t recognise true talent when they see one). That doesn’t mean a career in the media isn’t a good idea. It’s just that you might need to shift your focus from over-acting in Channel 8 soap operas or testing your karaoke might in the shower to hiring areas like game design and animation. Avid gamers might want to take note. MAGES offers a Specialist Diploma in Game Design & Entrepreneurship for aspiring game designers and developers. This programme can be undertaken on a full-time or part-time basis. Who says computer games are bad for you? 3dsense Media School offers a WSQ Diploma in Digital Design that can lead to a career in computer graphics or game illustration, as well as a WSQ Diploma in Animation. There is a SkillsFuture Study Award for Media Sector for Singaporeans with at least 3 years’ of experience as a media practitioner producing or distributing media content. Approved courses include diplomas in film, sound and video, multimedia and animation, game design and digital filmmaking. It might also be possible to receive the award for further studies in areas like data analytics and cloud computing. According to the World Bank’s 2016 Logistics Performance Index, Singapore is Asia’s Number 1 Logistics Hub. In practical terms, it means that a career in logistics can be a smart choice, particularly in strong industries like aerospace, chemicals, electronics and healthcare. Go on further studies to become a managerial specialist in the logistics industry with the part-time Master of Science in Supply Chain Management offered by NUS in conjunction with The Logistics Institute – Asia Pacific. The Singapore Institute of Materials Management offers a whole bunch of WSQ programmes that enable employees to gain important industry skills, including stock control and housekeeping operations and warehouse operations. The SkillsFuture Study Award for Logistics Sector is open to Singaporeans with at least 3 years of work experience in the logistics sector. The NUS MSc in Supply Chain Management is one of the supported courses, along with NUS’s MSc in Industrial and Systems Engineering part-time programme and SIM University’s BSc in Logistics and Supply Chain Management. As a major global aviation hub and home to one of the world’s busiest (and expanding) airports, Singapore will continue to offer abundant career opportunities in air transport (and no, we don’t mean asking coffee or tea sir up in the sky). There’s a wide range of careers under the air transport umbrella, from aerospace engineers and technicians to air traffic controllers and operations managers. The Air Transport Training College runs a range of WSQ courses in areas such as aerospace maintenance and basic aviation skills. Current or aspiring aerospace technicians can follow the Aerospace Workforce Skills Qualifications (WSQ) programme mapped out by the former WDA (now WSG). The SkillsFuture Study Award for Air Transport Sector is targeted at employees who want to pick up more specialised skills. With all that said, the choice is clear for most employees — either adapt and master the skills needed to transition into these hiring industries and roles of the future, or become obsolete and continue on that same futile job search. More women are heading back to work after childbirth, and more households are unable to rely on in-laws to look after their kids, for various reasons. This means the early childhood industry is growing in importance. Singaporeans are also becoming pickier about the programmes they enrol their young children in. To become a teacher in kindergartens or childcare centres, you will have to obtain a qualification in early childhood education. Here’s a list of approved teacher training courses accredited by the Early Childhood Development Agency. Remember to apply for a Workforce Singapore (WSG) subsidy to cover the bulk of your course fees. Those who are already working in the industry can boost their career prospects by taking further professional development courses. For instance, the Advanced Diploma in Early Childhood Leadership offered by Temasek Polytechnic and Ngee Ann Polytechnic is designed to enable childcare or kindergarten teachers to take on leadership roles at their schools or centres. To encourage people to enter the early childhood industry, the government is offering the SkillsFuture Study Award for Early Childhood (EC) Sector. Successful applicants who enrol in the Advanced Diploma in Early Childhood Leadership programme will receive $5,000 in cash on top of any subsidies to defray out of pocket expenses. Are you considering a career in any of the above fields? Share your plans and concerns in the comments!